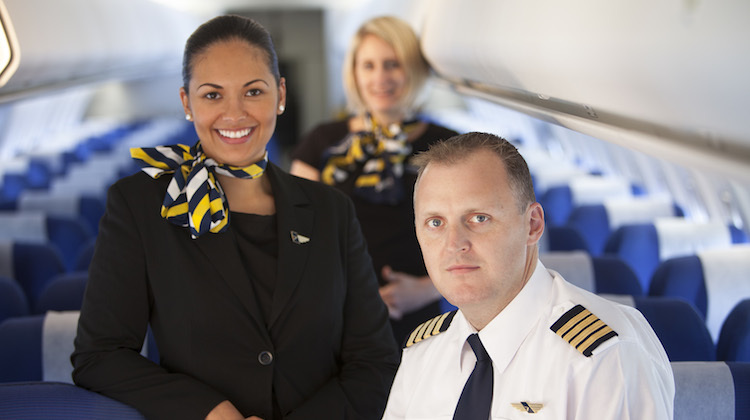 Alliance Airlines chief executive Lee Schofield says he expects almost all passengers on its regular public transport (RPT) operations to regional Queensland due to start on July 17 to come via its partnership with Virgin Australia. It was announced in May Alliance would offer RPT flights from Brisbane to Bundaberg, Gladstone and Port Macquarie from July 17 2017, which will be sold as Virgin codeshare services. Those flights are now on sale via the Virgin website and global distribution systems (GDS) and Schofield says “effectively all” of the ticket sales for its three RPT flights would come through Virgin. “That’s really the attraction of it,” Schofield told Australian Aviation in an interview. “For RPT to succeed it does need to be in the GDS among other things and it does need to have a big distribution presence that Virgin has. The Alliance flights will operate out of the Virgin terminal at Brisbane Airport, with passengers checking in at the Virgin counters. Web and mobile checkin will be offered on all Alliance flights. Virgin is withdrawing eight of its 14 ATR 72-500/600s and ending turboprop operations in Queensland as part of its fleet simplification and cost reduction efforts. As a result, it will cease flying from Brisbane to Bundaberg, Gladstone and Port Macquarie. However, the airline is able to continue to offer those destinations through the codeshare partnership with Alliance. Further, members of Virgin’s frequent flyer program will continue to earn points and status credits on Alliance-operated services, while eligible members would still receive benefits such as lounge access and priority handling. Schofield said the schedules for its three new RPT flights had been designed to offer the same level of frequency as Virgin operated previously, while the passengers would experience a similar level of service on board the aircraft. 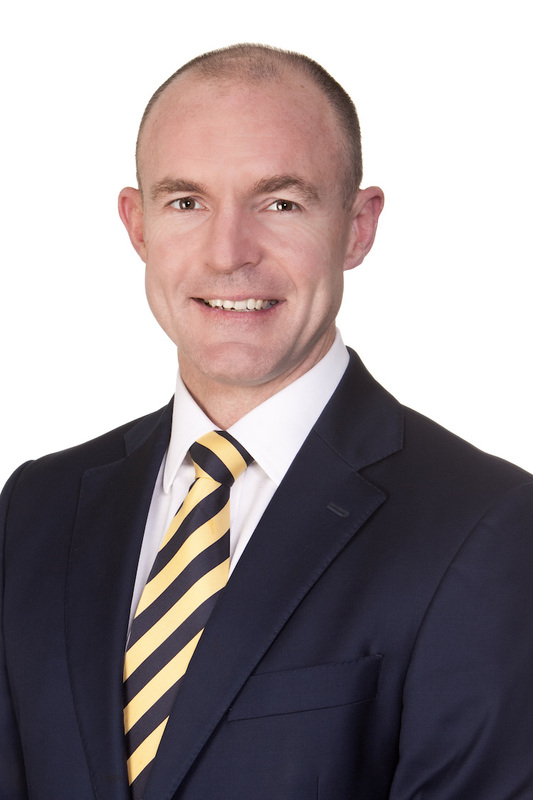 “We are taking on all of Virgin’s forward bookings so anyone who has a Virgin ticket booked for the period after the 17th of July will be offered to travel on the Alliance aircraft,” Schofield said. “All those bookings are being honoured so you do want some consistency there. Bundaberg and Port Macquarie will be served daily, while there will be 17 flights a week on the Brisbane-Gladstone route. While Virgin and Alliance said in May the heads of agreement would also cover the Brisbane-Moranbah route, Alliance said on its website jet services to Moranbah were “subject to consultation with Isaac Regional Council and BHP Billiton Mitsubishi Alliance”. Alliance’s Fokker 70 regional jets are are fitted with 80 seats in a 2-3 layout with 33in pitch in an all-economy configuration. By contrast, Virgin’s turboprops have 68 seats. Schofield said Alliance currently had eight Fokker 70s in service, with three more being brought in from its Fokker fleet based in Europe that was acquired in November 2015. 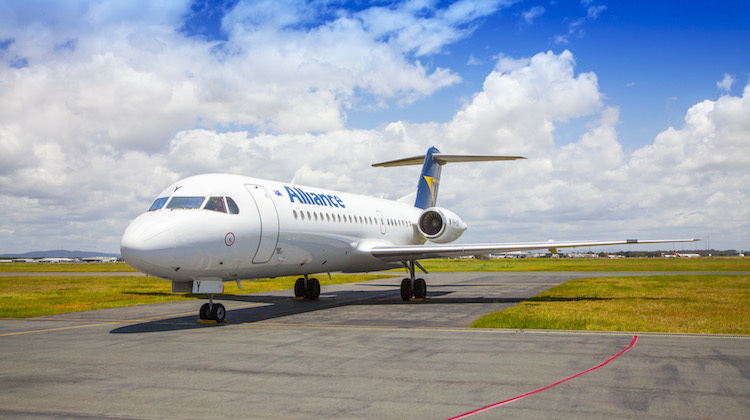 To celebrate the return to RPT services, Alliance is giving away a free return ticket to any passenger who books and travels on its Bundaberg, Gladstone and Port Macquarie flights on the first day of operations on July 17. These RPT flights are one part of Alliance’s work with Virgin. Alliance also operates some regional Queensland services on behalf of Virgin via a wet-lease arrangement, while the two companies recently received approval from Australia’s competition regulator to establish a charter partnership. The only company doing well with a VA flight number. And operating dinosaurs. Go figure! Outsourcing unprofitable routes to a specialist operator like Alliance is a no-brainer. They’ve gathered up most of the remaining Fokker 70 and 100 aircraft at bargain prices and are experts at running them profitably. Their basic rule is one aircraft type (yes, a bit old but can be kept flying with plenty of cheap parts), operating within the aircraft’s range and at fares that are tolerable to their market. It’s about time that Borghetti and Co were brought to task and grilled as to why their results are not in the black. Compare this with Ansett from 1990 until 2001 —a fruit salad of aircraft types eg Fokker 50, Fokker F27, Fokker 28, Fokker 70, Fokker 100, Boeing 737-200, -300, -400, Airbus A320 Boeing 727-200, Boeing 767 and even Boeing 747-300!! Did I miss the Twin Otter? Virgin have been trying so hard to emulate the Abeles era Ansett that spelt the end to Reg Ansett’s lifelong efforts. ATR-70’s, Embraer 170 &190, Boeing 737-700 & 800, Airbus A-330 and Boeing 777-300 — sounds a bit like Ansett just before Korda Mentha grabbed the keys. Why can’t the Virgin board go and knock on the doors of Ryanair, EasyJet, Jet Blue, Alaska Air, WizzAir, et al and find one of their young turks to take over before it’s too late? These airlines share one characteristic — they fly one —yes, ONE aircraft type, whether the flight is 30 minutes or 6 hours. Any flight that can’t be flown with their one aircraft type is outsourced to someone who doesn’t and collect a commission if it worth the effort. Hard to imagine the current success of Fokker in Australia and New Guinea. The way they’re going, there won’t be an airline soon – it’ll just be a 13 6789 call centre, and a network of codeshares! qlink rubbing their hands… q400 vs f70s….? well done twodogs, that’s putting it all into perspective. Geoff, you missed the Electra (cargo I know, however another ac type). According to Flightglpbal, the Samoan Government has signed an MOU with Fiji Airways to establish a new airline to replace Virgin Samoa. The agreement with Virgin ends on 12 Nov 2017. Re Geoff Phillips. The B732 were replacements for the DC9s. The B733 and B734 replaced the B732. The A320 was purchased to replace the B722. The 5 x B762 were purchased to add capacity on the Mel-Syd-Bne triangle and flights to Perth. The B743 were leased for international flights to Hong Kong and Japan (I think) and were replaced by B744. Ansett never to my knowledge operated the F70 or F100. The F28 in WA were replaced by BA146. The F28 finished their Ansett career flying out of Melb to Launceston etc from memory. The twin otter was operated by Aeropelican from Belmont to Sydney. @ Geoff and @Craig, AN never operated the 737-400. They went for the A320 which whilst adding a fleet type was more capable in freight and range than the 734. @Brad. Oops you are correct. AN never had the B734. I used to fly out of Canberra almost weekly and it was a really exciting lottery to see what would be at the gate. Like many I think VA getting rid of the E190 was a serious mistake. Routes like HBA/MEL, MEL/CBR, CBR/BNE, BNE/ROK and many more that I regularly do are perfect for the 190 at different times of the day, and to see a half full 737-800 seems like a waste.